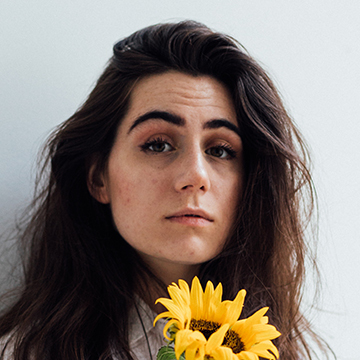 dodie today announces a second show due to demand for Dublin’s Vicar Street, 17th March 2019. Tickets are available now from Ticketmaster.ie and outlets Nationwide. the Human EP, due for release on 18 January in digital, CD and vinyl formats. dodie will also perform two nights at Dublin’s Vicar Street, 17th & 18th March 2019. The EP’s title track is available to stream and download from today, and comes as dodieannounces an extensive tour of the UK and Europe, beginning in Antwerp on 10 February and culminating in her biggest show to date at London’s legendary Roundhouse on 24 March. dodie today also debuts the video for the song. Directed by Hazel Hayes and starring dodiealongside Oscar Scott-White, it was shot in London earlier this year. The EP’s title track is available to stream and download from today, and comes as dodie announces an extensive tour of the UK and Europe, beginning in Antwerp on 10 February and culminating in her biggest show to date at London’s legendary Roundhouse on 24 March.